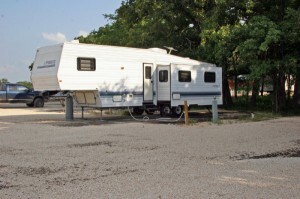 Our 42 RV Sites offer full hookups with 30 and 50 amps available, and include full use of the park and facilities. Each site includes all utilities, Cable TV, Wifi Internet, free access to our onsite Laundromat, outdoor barbeque pavilion, and stocked fishing pond. The property has paved roads so you can be sure of easy access no matter the weather. Don’t forget to enjoy sunny days fishing in our stocked pond! Please contact us to check current availability.